Cell Tech Perform - Effective Creatine Stack for hardgainers. Each double scoop of Cell-Tech provides up to 7 gram of patented and purest quality creatine HPLC and 3 grams of Creatine HCL. Research shows that people taking Cell-Tech after a week took about 3.4 pounds of dry rock muscle. In other studies, people taking the product significantly increased strength in the bench press. 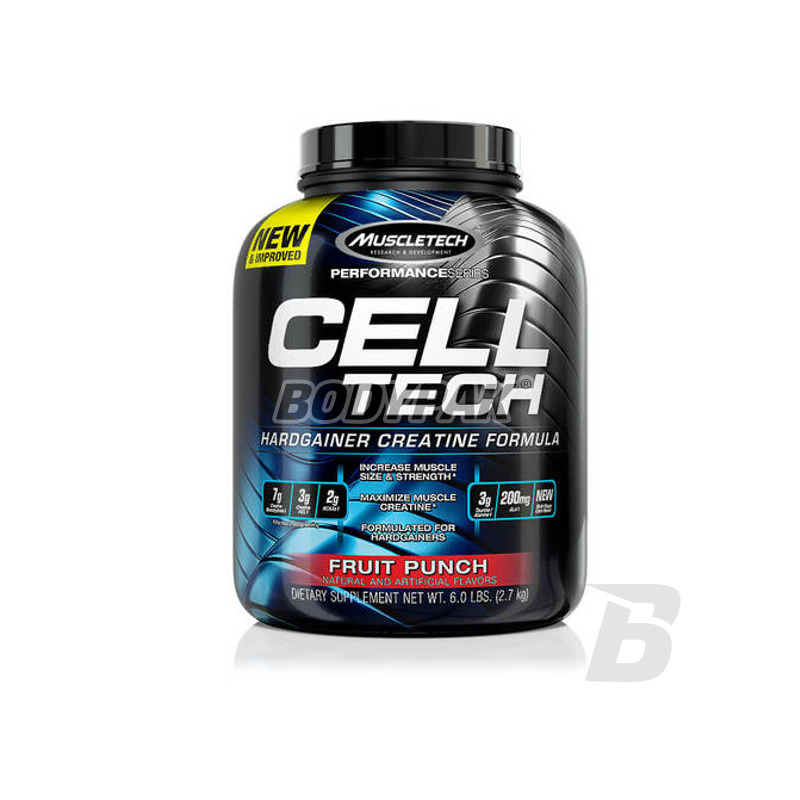 Every two scoops of Cell-Tech's provide up to 200mg a powerful connection alpha-lipoic acid (ALA). Research has shown that ALA helps zwiększych and creatine uptake of glucose into muscle cells. Cell-Tech provides a multi-stage combination of carbohydrates, which cause huge spike insulin immediately after training. This helps in the transport of creatine and nutrients that are simply pushed into the muscle. This process effectively complements glycogen and has the effect of overcompensation. This supplement provides BCAA amino acids in the ideal porporcjach 2: 1: 1. Additionally, it is enriched with taurine and alanine, two amino acids that have the greatest impact on cell volumization. Inne składniki: Multi-Stage Carb Blend (polimery glukozy, dekstroza, MultiCarb (otręby owsiane, quinoa, gryka, proso), skrobia kukurydziana, rozgałęzione cykliczne maltodekstryny), naturalne i sztuczne aromaty, krzemian wapnia, kwas jabłkowy, fosforan diwapnia, sól, kwas stearynowy pochodzący z lecytyny słonecznikowej, acesulfam K, sukraloza, FD&C Red No 40, FD&C Blue No. 2.